This week’s Face of SaTH is Health Care Assistant Stuart Ansell, who started with us in 2002 through Temporary Staffing, before joining us permanently on the Surgical Wards. 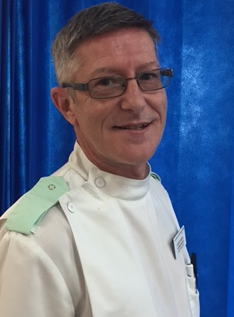 As a member of staff on the Acute Medical Unit, Stuart is part of the team responsible for admitting patients from A&E, GP Surgeries and Shrop Doc. The patients on the Unit have their observations done, bloods taken and treatment started, before they are allocated to another ward for their stay. Do you know someone who works with us that would make a great Face of SaTH? Send us a message so we can get in touch with them! 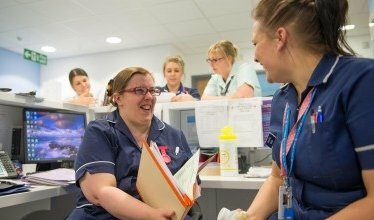 If you are looking for a Support Role in our Hospital click here.